April new home sales figures posted a 12% gain compared to last year, and we had two notable observations. First, there’s been a shift to higher priced sales; 32% of all new homes sold for $400,000+ in April 2017 compared to 36% in April this year. For the average American, purchasing a home at that price point is far out of reach given the US median household income is $59,000. Second, the upward trend tracks with contract sales data in Zonda that captures mainly production housing. Our data shows a 4% increase in sales on the year (LTM), led by top California metros, Las Vegas, Phoenix, Miami, and Orlando. These markets are driving up the overall sales rate as prices approach the previous peak and consumers reach a level of financial stability. 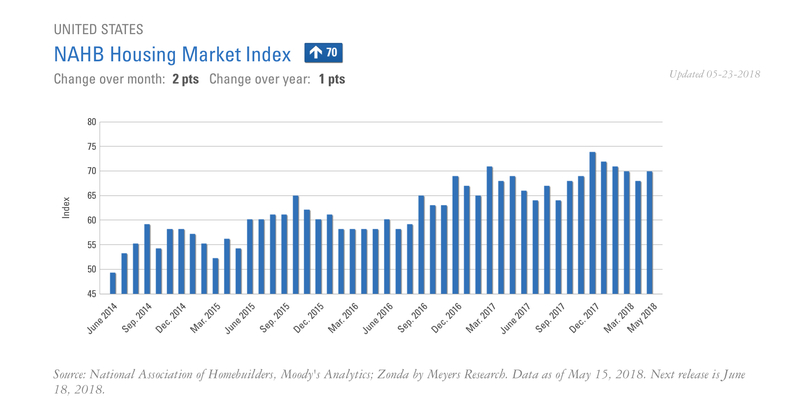 The NAHB Housing Market Index is 1.5% higher year-over-year and 21% above May 2016 levels. Nonfarm payrolls have increased for over seven consecutive years, the longest stretch in history. 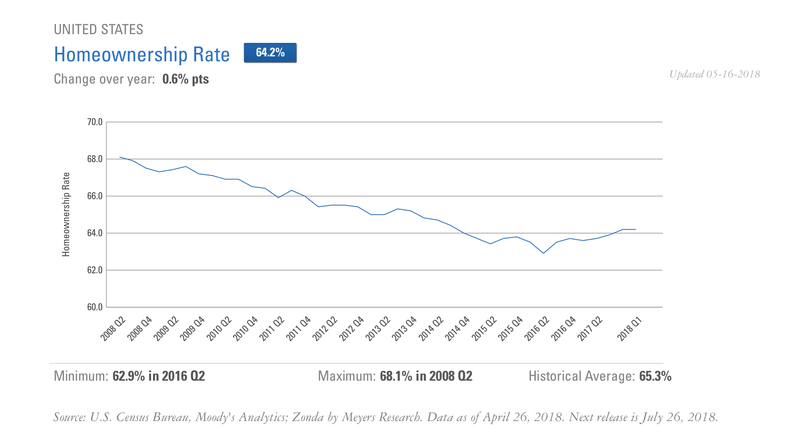 The homeownership rate flattened quarter-over-quarter at 64.2% and is below the historical average of 65.4%.